Yep, 30% of the cost of a solar power system can be regained from the federal government. You’ve got a 30% discount dangling before your eyes. This is one key reason solar power saves the average American who decides to go solar today over $20,000 over 20 years. (Also, given the advantages of solar, it’s a good federal investment.) There are also tons of state and local incentives that help to make going solar even cheaper. Importantly, the 30% tax credit isn’t the only federal incentive, but it’s the only one that is really of use to residential solar customers… well, it was, until solar leasing came along. There is also a depreciation incentive that large, 3rd-party solar companies can take advantage of that let them lease solar panel systems to you for a deal competitive in many cases with buying your own solar power system (though, this is a hotly debated topic, and it again depends on the assumptions you use regarding solar power system lifetime, electricity price increases, etc). To simplify, 3rd-party solar companies like Sunrun and SolarCity can take advantage of this extra incentive and use it to cover their inherent need for profit while still offering you a good deal on solar (often at close to $0 down). The take-home point: while the cost of solar is dropping, solar incentives available today make now an excellent time to go solar. Solar panels cost less than grid electricity for many or possibly even most of us. 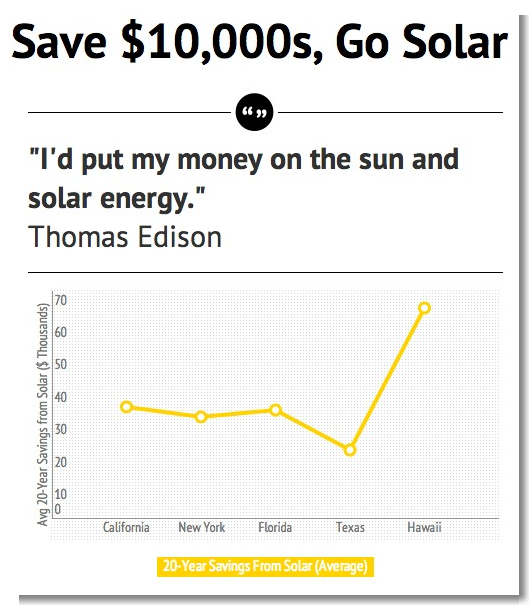 In other words, get a solar quote today!